I coined the term “Borg Complex” on a whim, and, though I’ve written on the concept a handful of times, nowhere have I presented a clear, straightforward description. That’s what this post provides — a quick, one-stop guide to the Borg Complex. What is a Borg Complex? What are some other symptoms of a Borg Complex? 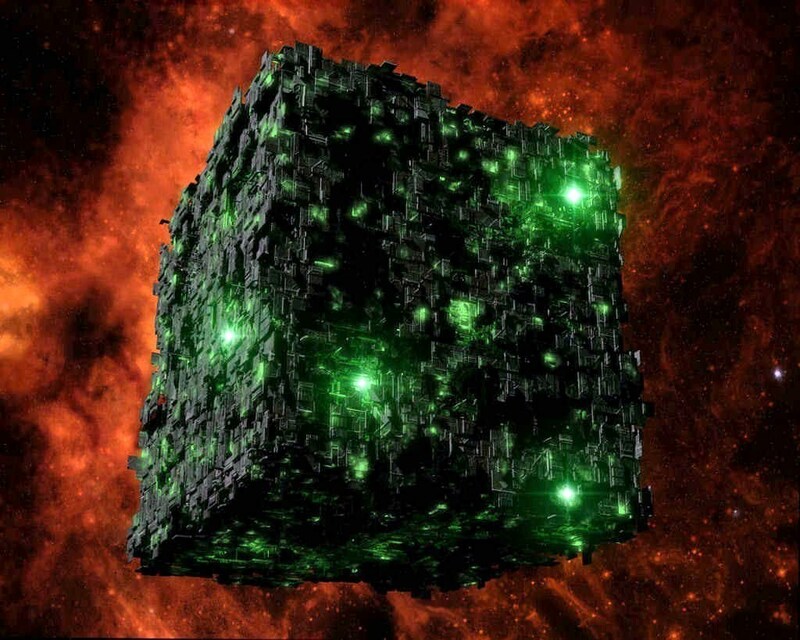 Is there more than one form a Borg Complex may take? Yes. There is temperamental variation ranging from the cheery to the embittered. There is also variation regarding the envisioned future that ranges from utopian to dystopian. Finally, there are different degrees of zeal as well ranging from resignation to militancy. Basically, this means a Borg Complex may manifest itself in someone who thinks resistance is futile and is pissed about it, indifferently resigned to it, evangelistically thrilled by it, or some other combination of these options. So as an example, take some one like Kevin Kelly. He is cheery, utopian, and not particularly militant about it. This is, I suppose, a best case scenario. What causes a Borg Complex? Causes, of course, is not the right word here; but we can point to certain sources. A Borg Complex may stem from a philosophical commitment to technological determinism, the idea that technology drives history. This philosophical commitment to technological determinism may also at times be mingled with a quasi-religious faith in the envisioned techno-upotian future. The quasi-religious form of the Borg Complex can be particularly pernicious since it understands resistance to be heretical and immoral. A Borg Complex may also stem from something more banal: self-interest, usually of the commercial variety. Apathy may also lead to a Borg Complex, as may a supposedly hard-nosed, commonsense pragmatism. Aren’t Borg Complex claims usually right? A Borg Complex diagnosis does not necessarily invalidate the claims being made; it is primarily the identification a rhetorical stance and the uses to which it is put. That said, examining Borg Complex rhetoric leads naturally to the question of technological determinism. It’s worth noting that historians of technology have posed serious challenges to the notion of technological determinism. Historical contingencies abound and there are always choices to be made. The appearance of inevitability is a trick played by our tendency to make a neat story out of the past. Even if some Borg Complex claims prove true, it is worth asking why and whether Borg Complex assumption did not act as self-fulfilling prophecies. Marshall McLuhan once said, “There is absolutely no inevitability as long as there is a willingness to contemplate what is happening.” The handwaving rhetoric that I’ve called a Borg Complex is resolutely opposed to just such contemplation when it comes to technology and its consequences. We need more thinking, not less, and Borg Complex rhetoric is typically deployed to stop rather than advance discussion. What’s more, Borg Comlex rhetoric also amounts to a refusal of responsibility. We cannot, after all, be held responsible for what is inevitable. Naming and identifying Borg Complex rhetoric matters only insofar as it promotes careful thinking and responsible action. Other Borg Complex posts are collected here. Borg Complex tumblr collecting cases and related materials here.